Some of you might be familiar with the name Antoine de Saint-Exupéry. While some might know him for being the writer of “The Little Prince”, (or for being a pilot, or as an important aristocrat of the 20th century,) others might know his legacy in the name of the foundation tributed to him. 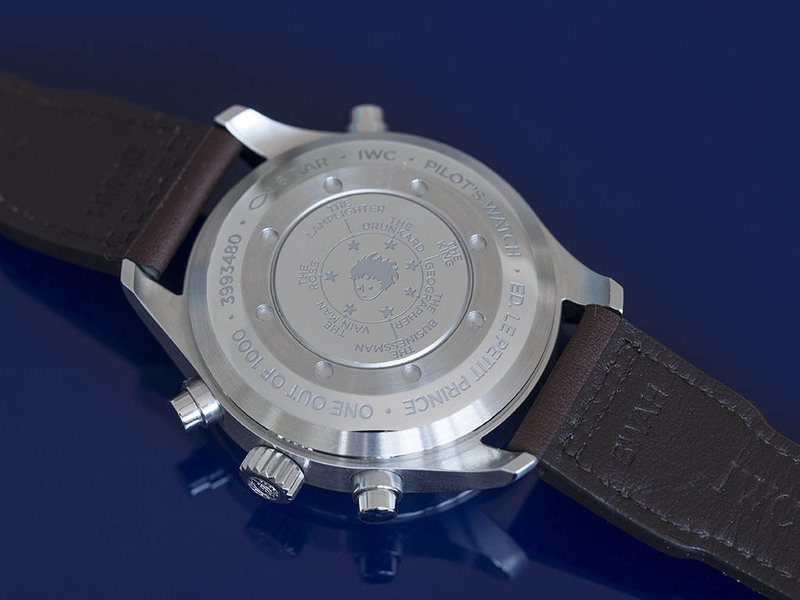 In recent years IWC launched a number of models to help the Antoine de Saint-Exupery foundation, and not long ago IWC launched another important model for this special reason. Saint-Exupéry’s book Le Petit Prince was first printed in 1943 and was chosen as the best book of the 20th century in France. Besides his success as a writer he also had a significant place in aviation history. 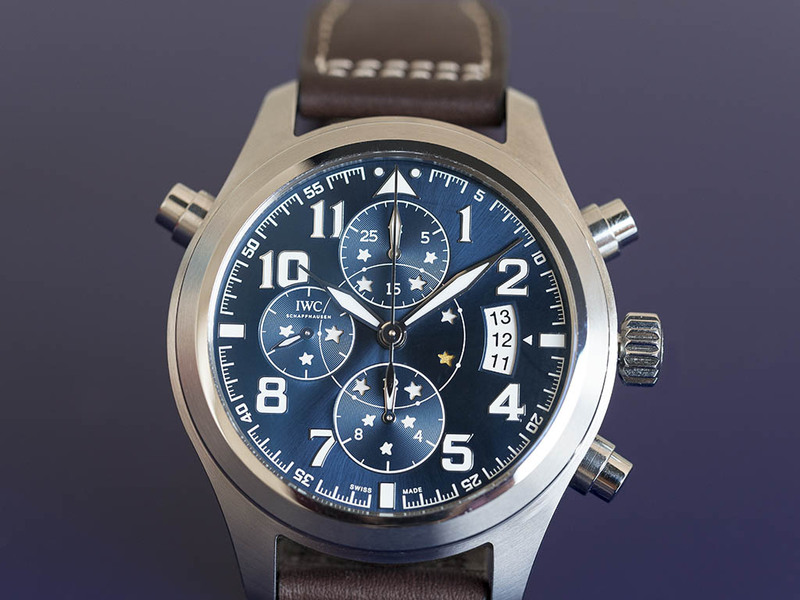 As a privilege of Horobox followers, we are presenting the latest model of IWC, which was inspired by this novel’s hero, the “Petit Prince”. From the very first moment I got my hands on the watch, the first details that caught my attention were the 7 stars right in the middle of the dial. Each of these seven stars represent a planet visited by the Petit Prince. Additionally you will find some more stars that light up throughout the day; however, there is no strict order in which they do. This feature really blew the Horobox team away. 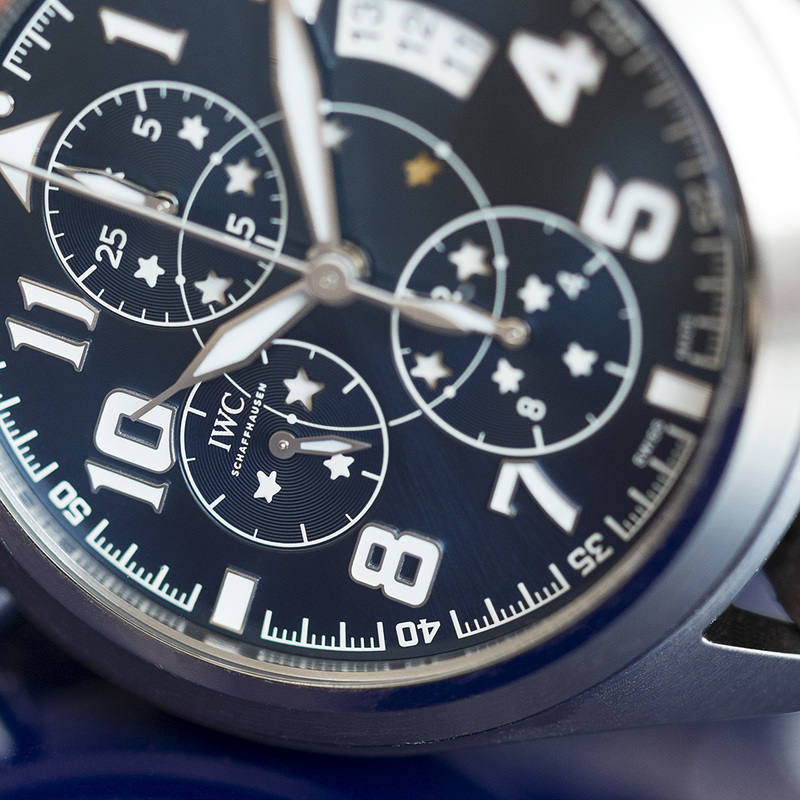 Besides the shooting star feature, the night blue dial at least doubled our admiration. The perfectly chosen index fonts are coated with SuperLuminova and ensure perfect legibility in the dark. The sapphire crystal has an anti-reflective coating on both sides, thus you can see all the miniature details clearly around the dial. The watch features a 44mm steel case and an automatic caliber reference 79420, which breathes life into this astonishing timepiece. The caliber is protected by a soft metal cage and thus is anti-magnetic. 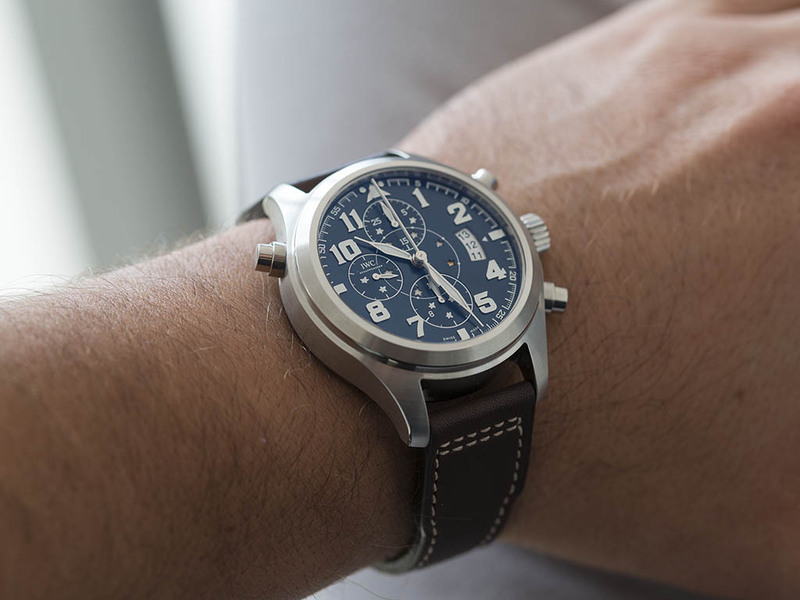 This model does not only feature a chronograph function, but it is spiced up with a split-second one. 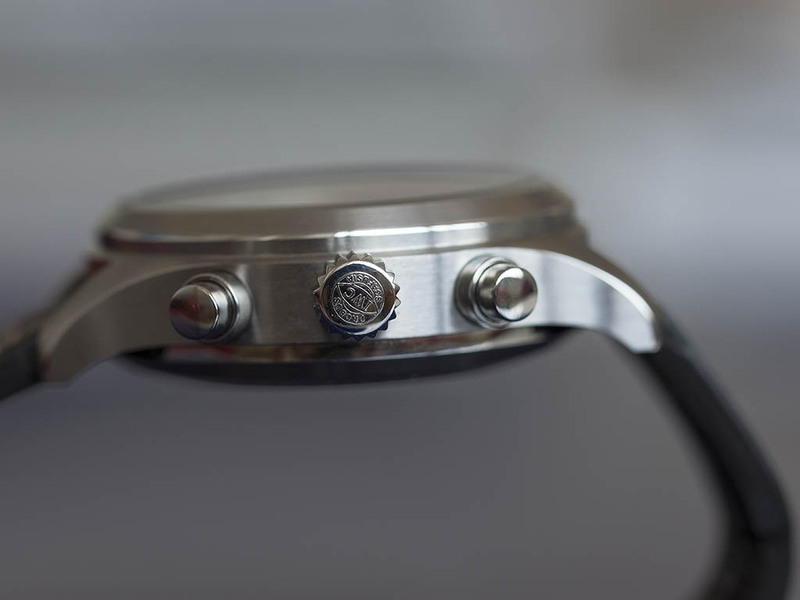 The chrono starts with the pusher positioned at 2 o’clock and if you wish to activate the second chronograph hand you just have to use the pusher positioned at 10 o’clock. 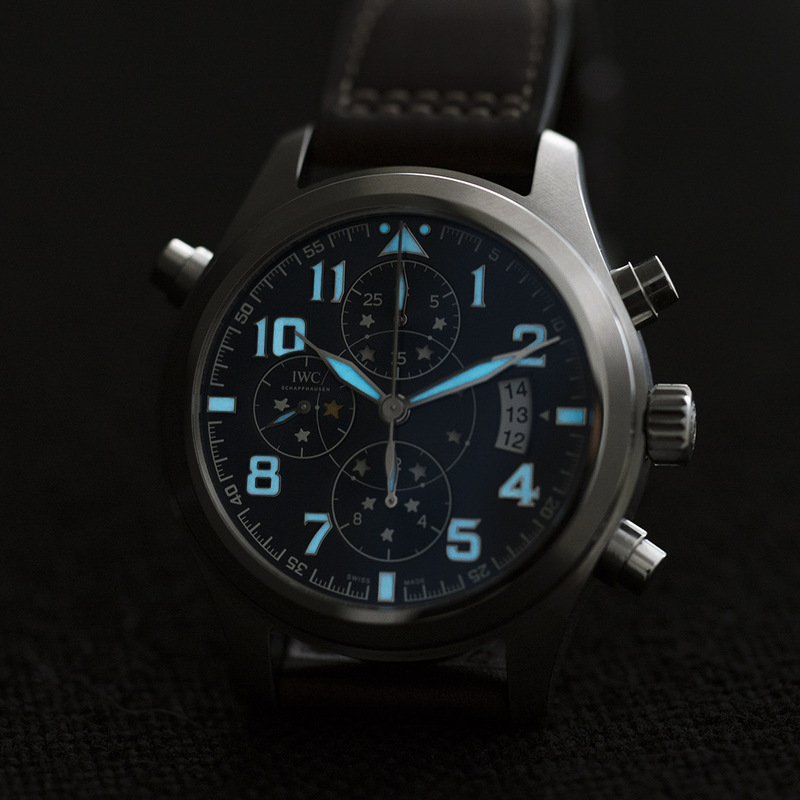 The buttons give you a rather hard feel but as this model is a pilot’s watch we can say that they are as they should be. 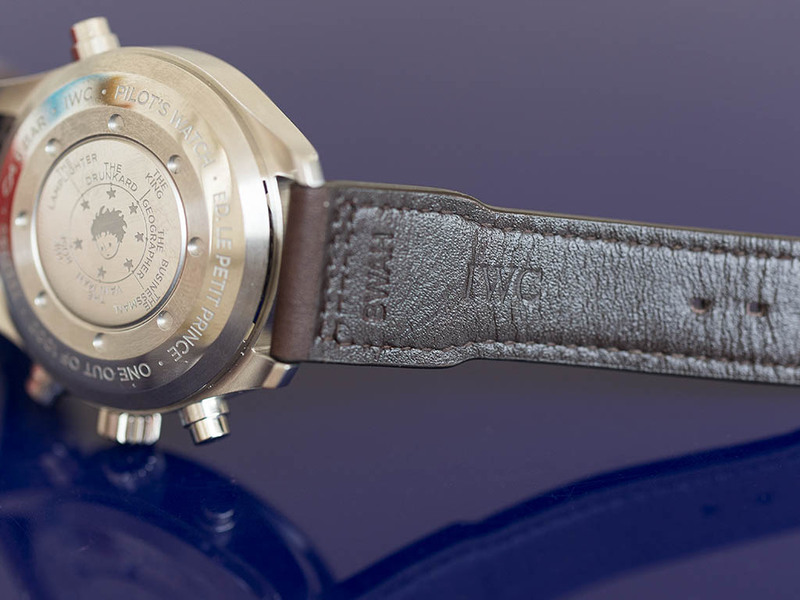 On the case-back you will find IWC’s usual workmanship, but it also hides a unique surprise and once you see the back you will surely immerse yourself into the Little Prince’s adventures. For those who read the novel the case-back has different meanings. 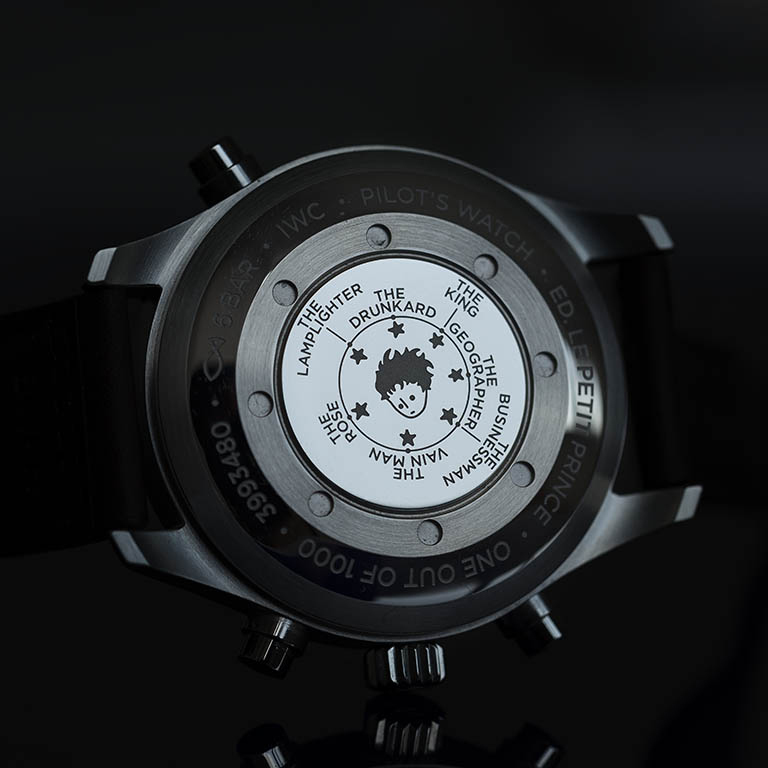 The engraving shows the Little Prince’ silhouette surrounded with the characters’ names he met throughout his endeavors. 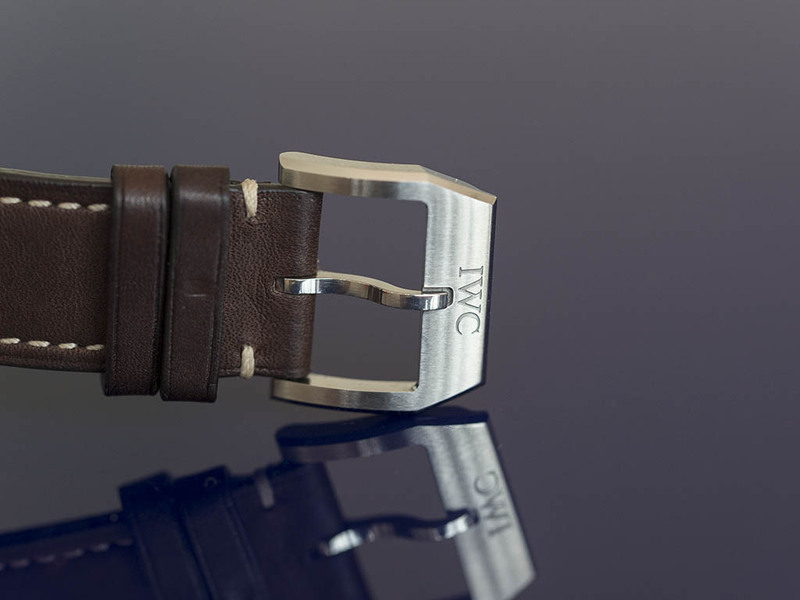 The brown strap is in perfect harmony with the breathtaking blue dial, and features an elegant buckle, which ensures great comfort. 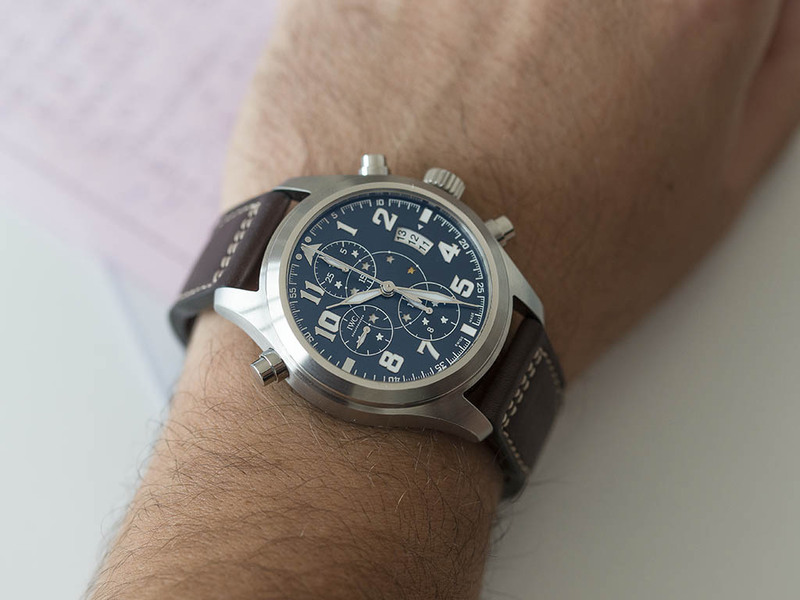 Although the IWC Pilot’s Watch Double Chronograph edition is a little bit thick, it feels very comfortable on the wrist. Rumor has it; the model priced at €12,100 will find its place in boutiques in a short notice. It should be possible to reserve the watch from now on. We would like to express our gratitude to IWC’s Turkish PR Manager Pınar Yılmaz for giving us the privilege.